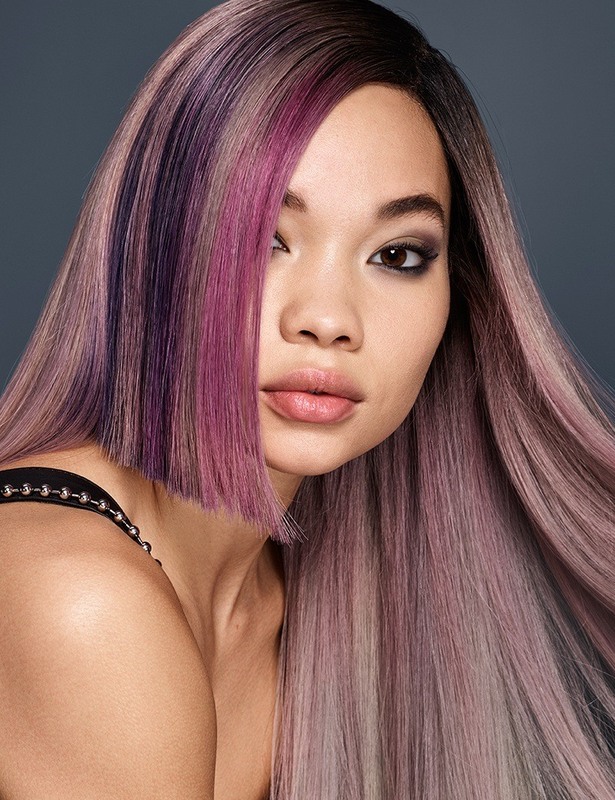 This magenta ombre takes fantasy pink haircolor to the next level by transitioning from a dark natural root haircolor to dramatic pops of magenta and lilac haircolor. 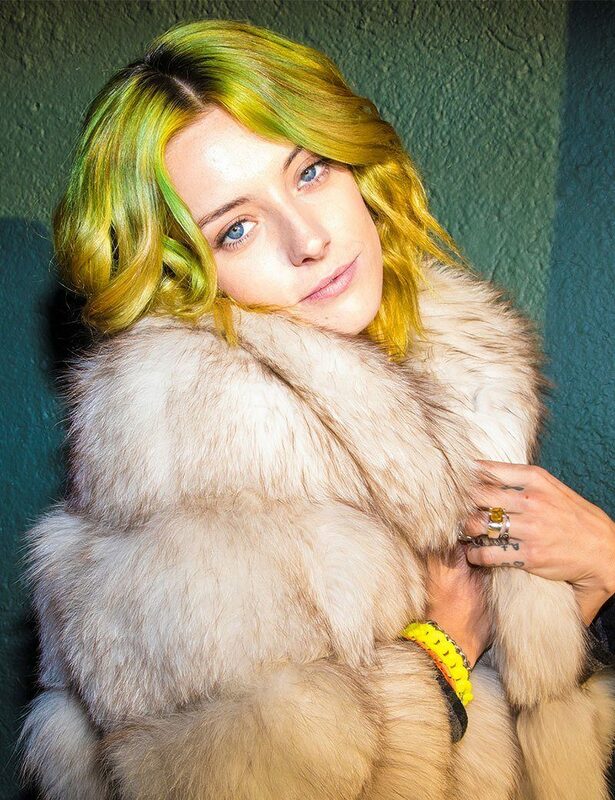 Your stylist can recreate this smokey, magenta haircolor trend for a striking take on the classic ombre. 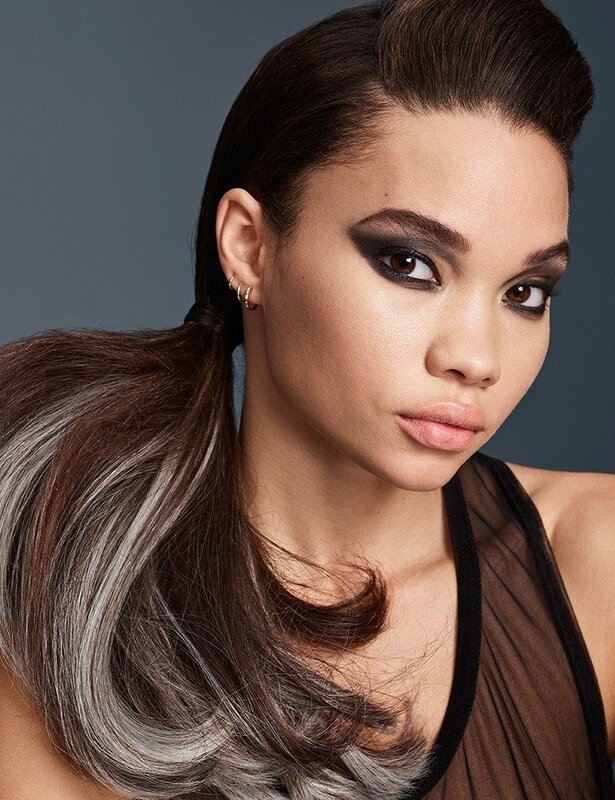 This is the third level of Smokey Ombre, Redken's three-part haircolor trend inspired by smokey eye makeup. This look is putting the "Shout" in Whisper, Talk, Shout.